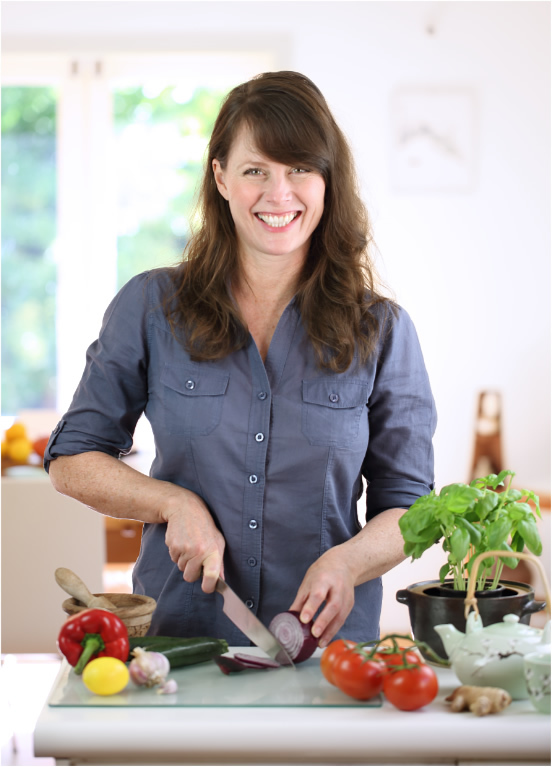 Hi, I'm Trudy and I eat a wide variety of delicious foods every day including pasta dishes, curries, pizza and chocolate. I also drink red wine most days. And I never count calories, carbs or fat grams. Yet I'm in the best shape of my life and I've never felt healthier. What's my secret? Actually it's not a secret at all. 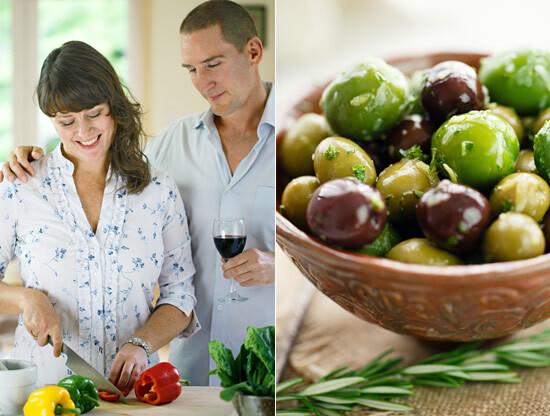 You've probably heard many good things about the Mediterranean diet, which is based on the traditional diets of those countries bordering the Mediterranean Sea including Greece, Italy and Spain. Decades of scientific research has found that this way of eating not only helps you stay in shape and live longer, it also greatly reduces your risk of heart disease, Type 2 diabetes, Alzheimer's disease and many forms of cancer. You probably also know that Asian diets, such as the Japanese diet, are also very healthy. All I did was combine these traditional and highly appetizing diets into one 'MediterrAsian' diet — so I literally get the best of both worlds. I didn't come up with this concept alone. In fact it was an extraordinary set of circumstances that led me to follow a MediterrAsian way of eating in the first place. My parents are both medical doctors, so I've always had a natural interest in health and healthy living. But it wasn't until I was introduced to authentic Asian cooking by my Chinese-Malaysian sister-in-law in my late teens that I discovered that healthy food and delicious food could be one in the same. This was a revelation to me, and I've been hooked on Asian food ever since. Then, in my twenties, I met and fell in love with Ric. Like me, Ric is very interested in health and healthy living. That's mainly because he lost his own health when he was involved in a near-fatal motorcycle accident. After lots of struggle and pain, he only fully regained his health by adopting a Mediterranean diet. When we met, I introduced Ric to Asian cooking and he introduced me to Mediterranean cooking. We ended up bonding over pad Thai and paella! We also discovered there were so many benefits to eating a combined diet of Mediterranean and Asian foods. One of the biggest benefits was for our taste buds. So many of the world's most mouthwatering dishes originate from Mediterranean and Asian regions, including pasta, pizza, risotto, sushi, curries, and stir-fries. So we never felt deprived. And the health benefits were also extraordinary. From helping to get us in the best shape of our lives to improving our cholesterol levels and blood pressure, and giving us bucket loads of energy. We’ve benefited enormously from eating the MediterrAsian way, and also from adopting other lifestyle habits of traditional Mediterranean and Asian cultures — like moving naturally as part of our everyday lives instead of slogging away in the gym, being more mindful eaters, and having a more laid-back attitude towards life. That's why we felt it was really important to start this website and share what we’ve learned with others — especially with all the mixed messages out there these days about health and nutrition. Not long after launching, our website was named as one of the best new websites by Yahoo!, and was selected as a ‘Hot site’ by USA Today. This led to the publication of our cookbook The MediterrAsian Way. The book received a recommendation from the prestigious Library Journal and was named as one of the best cookbooks of the year by the Santa Barbara News-Press. In the years since we started our website there's been growing interest among scientists and doctors about the health benefits of a MediterrAsian way of eating. In fact, groundbreaking research by a group of German scientists from the University of Kiel found that combining Mediterranean and Asian diets can have a very positive effect on your genes. That's because many traditional Mediterranean and Asian foods — such as olive oil, red wine, turmeric and green tea — are rich in natural anti-inflammatory plant compounds called polyphenols. These polyphenols activate a type of gene in the body called sirtuins, which play a fundamental role in extending cellular life and repairing DNA. Compared to severe calorie restriction (which is also known to activate sirtuins), the researchers found that a polyphenol-rich MediterrAsian diet provided similar health benefits — without having to restrict calories. Their research was published in the scientific journal Oxidative Medicine and Cellular Longevity in 2013. 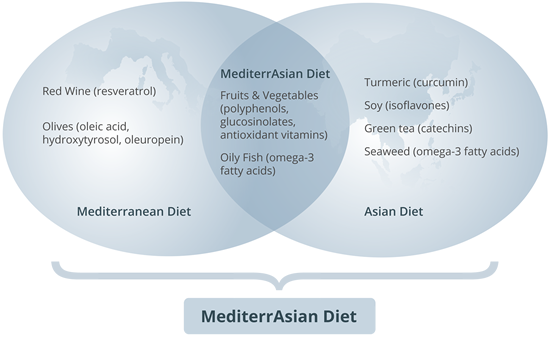 “We suggest that a so-called MediterrAsian diet combining sirtuin-activating foods of the Asian as well as Mediterranean diet may be a promising dietary strategy in preventing chronic diseases, thereby ensuring health and healthy aging,” they wrote. In 2016 Dr. Mariangela Rondanelli and a team of scientists from the University of Pavia, Italy, conducted a systematic review looking at the benefits of combining Mediterranean and Asian foods to improve cholesterol levels. They found that a MediterrAsian diet boosted 'good' HDL cholesterol, and reduced heart disease risk. The findings were published in the peer-reviewed journal BioMed Research International. The Chair of the Department of Nutrition at Harvard School of Public Health, Dr. Frank Hu, also follows a MediterrAsian style of eating. In a recent interview, Dr. Hu said his own diet is a fusion Mediterranean, Asian, and vegetarian, and he tries to combine the healthiest elements of each. 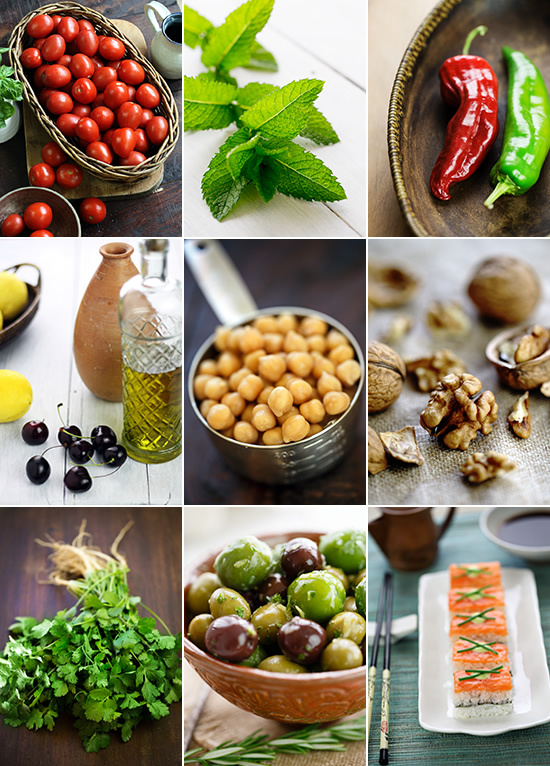 The University of Arizona College of Medicine now even offers an accredited course for physicians and dietitians which focuses on the powerful anti-inflammatory and disease-fighting effects of combining traditional Mediterranean and Asian eating practices. So, if you want to get healthy and in shape, reduce your risk of chronic disease and live longer — all while enjoying a wide range of delicious foods — we highly recommend you give a MediterrAsian way of eating a go. Let our site be your guide. It's packed with simple, delicious and nutritious Mediterranean and Asian recipes, lifestyle tips, and lots of other useful resources. And if you never want to miss a new recipe don't forget to subscribe. "An elegant and joyous site." "The creators of this site hope to promote longevity and good health by highlighting some of the best food practices from other cultures around the world. And they do it with terrific recipes and beautiful photos. From paella to pad Thai, you'll find inspiration with an international essence." "This unique site is about the melding of two traditionally healthy cuisines." "Two great tastes that taste great together." "Providing a wealth of information on healthy Mediterranean and Asian diets and lifestyle practices, this site includes an abundance of delicious recipes." "The MediterrAsian diet takes the best aspects of the Mediterranean and Asian diets and combines them to create optimal lifestyle conditions to improve and extend your life." "This site really helped me understand why Asian and Mediterranean folk enjoy exceptional health and long lives."